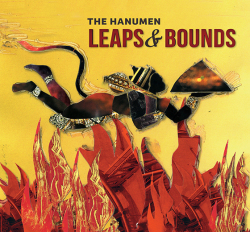 We present Leaps&Bounds, the new album by The Hanumen, a multi instrumental weaving of traditional kirtan and a revolutionary mix of eclectic mantra music. Varying traditions of spirituality and musicality come together in perfect harmony, including vocals and drumming from the Mayapuris own Vishvambhar! And of course the usual suspects, Gaura Vani, John de Kadt, Purusartha Dasa and Benjy Wertheimer, plus many incredible guest musicians. Hi Raghu! We’re working on putting all Hanumen lyrics in one place. Thank you so much for supporting our music! I am looking for the Hanumen lyrics. Are they available online anywhere? I purchased this a while ago and I think I just got the digital download purchase from Amazon. When are The Hanumen coming to Long Island, NY in 2016? Saw them upstate NY a few years ago and would love to see them on Long Island. 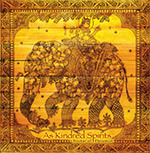 I only heard the one sample song, and I was curious who was playing those fabulous tablas! Also, would love to hear samples of the other tracks…will they be available anywhere? Looking forward! Please come to California!